sends them to a #shoutouts Slack channel. As many already know, this has some great benefits. Agents feel appreciated by customers, and by their own team. Agents see their personal impact on customer happiness. 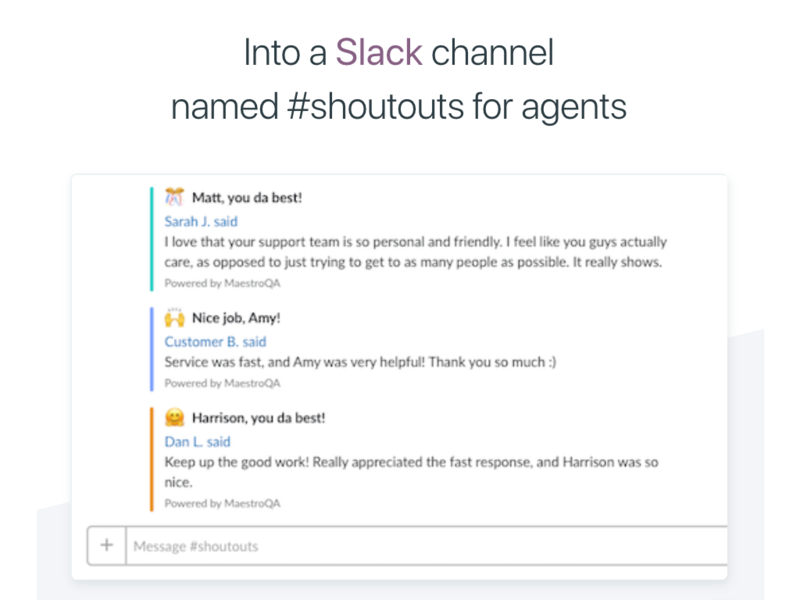 Shoutouts is a fun and easy way to celebrate team wins, and build camaraderie. Visit the Shoutouts setup page (it's only a couple clicks!). Click to connect to Zendesk. Click to connect to Slack. In Slack, create a channel named shoutouts. 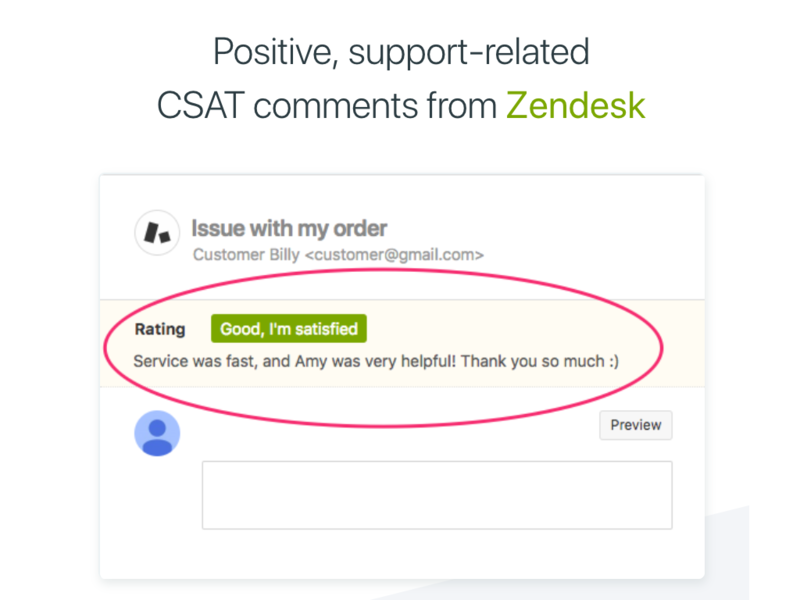 Customer CSAT comments automatically begin appearing in the #shoutouts Slack channel. Let your customers be your cheerleaders. Encourage and appreciate your agents.